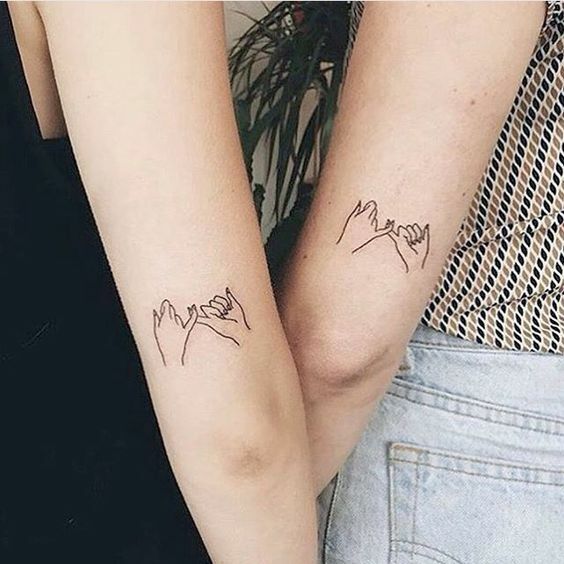 If you’ve found your type of person, you are among the happiest people in the world as it’s your soul sister or soul brother with whom you may share everything and help each other. 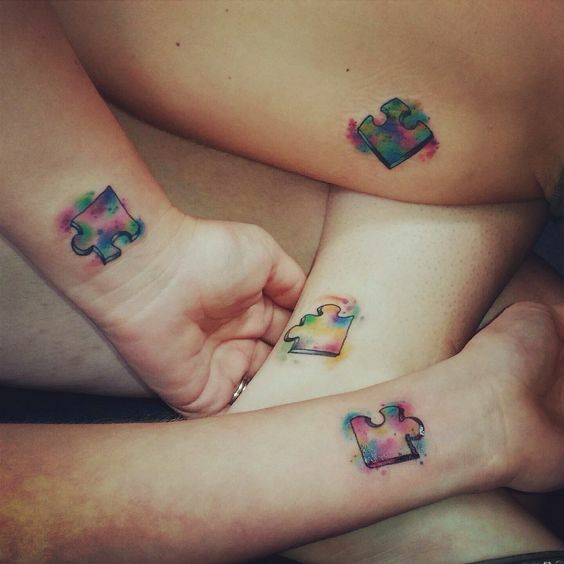 Wanna highlight your friendship somehow? 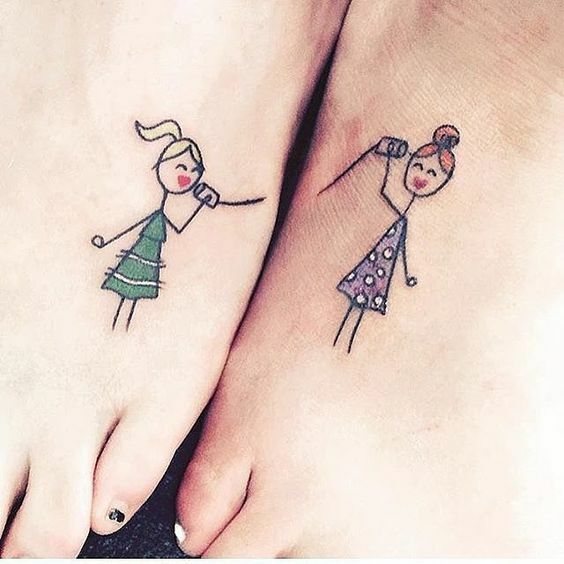 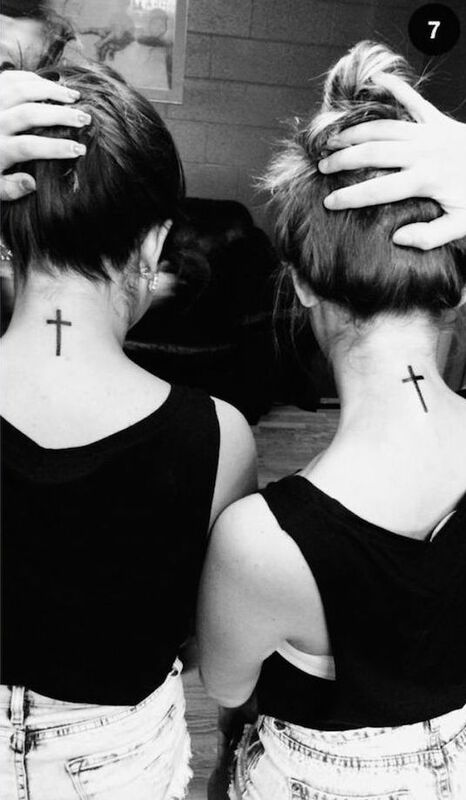 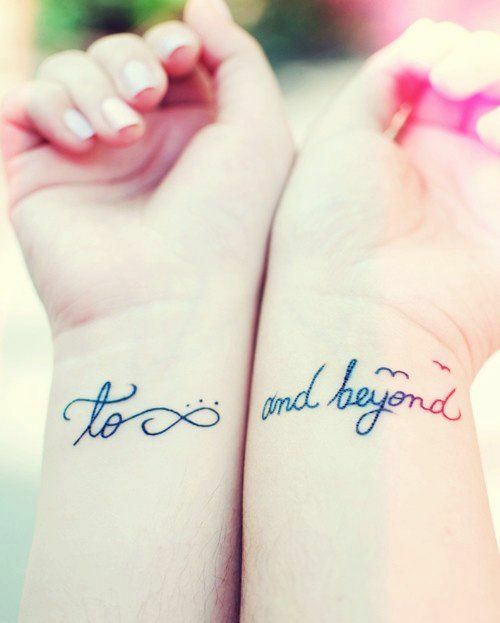 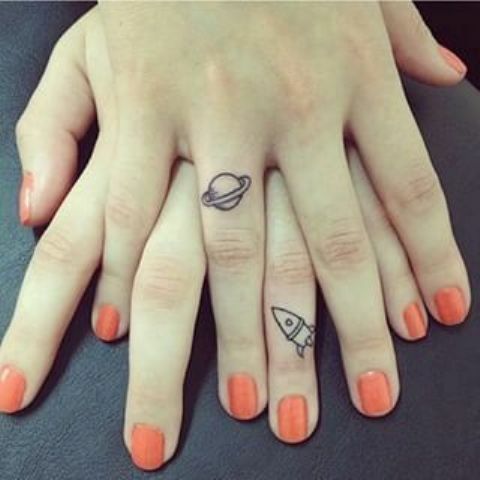 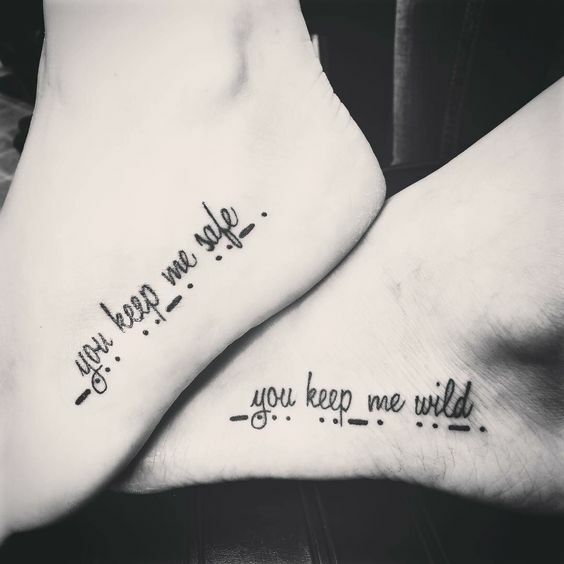 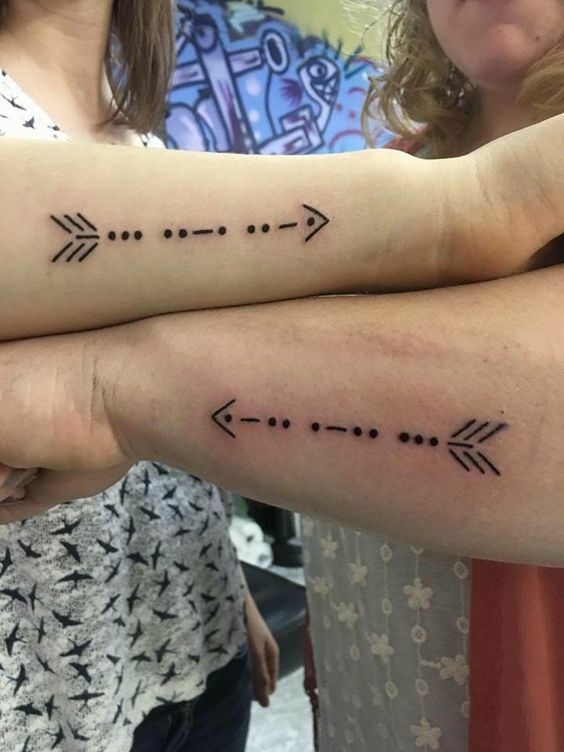 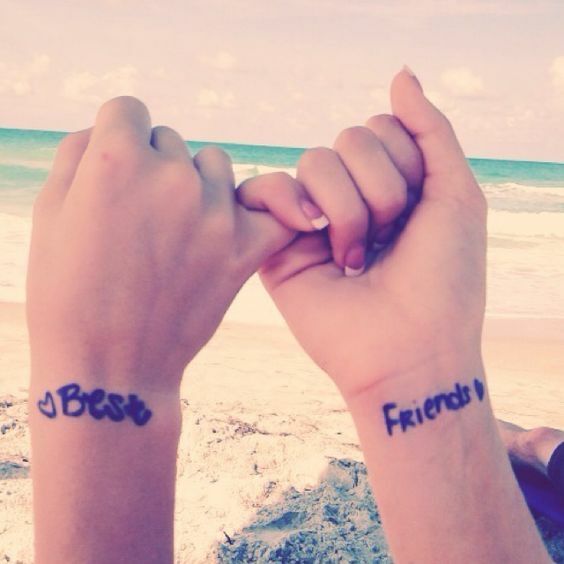 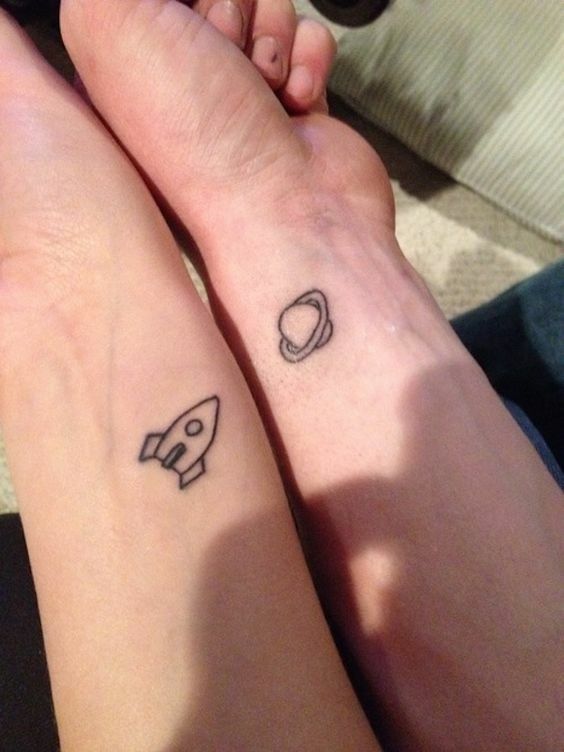 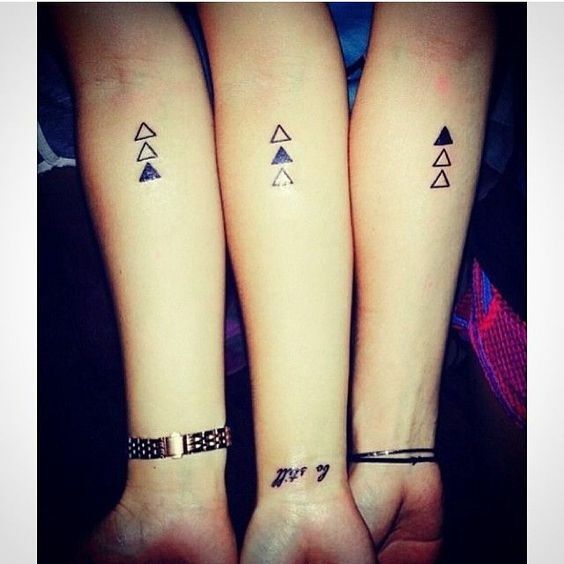 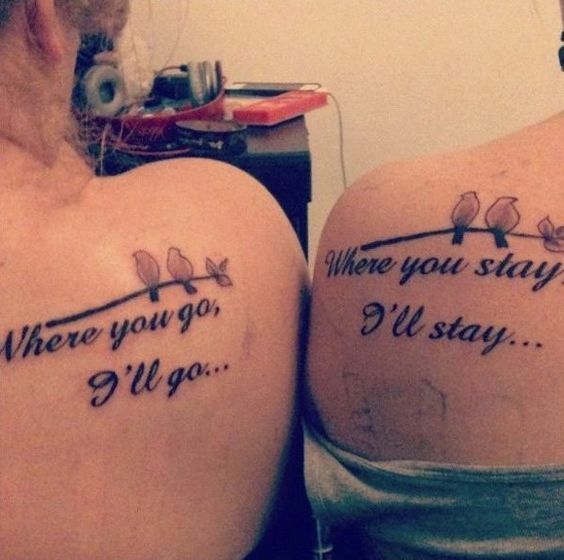 Make adorable bff tattoos! 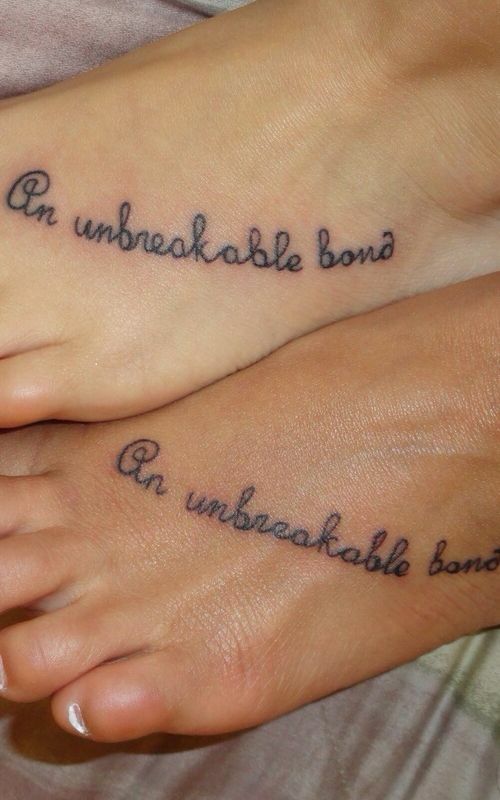 Matching, complementing, the same – whatever you both like is great! 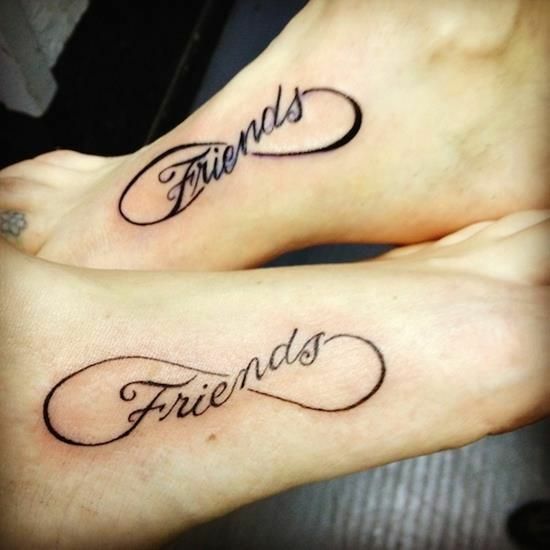 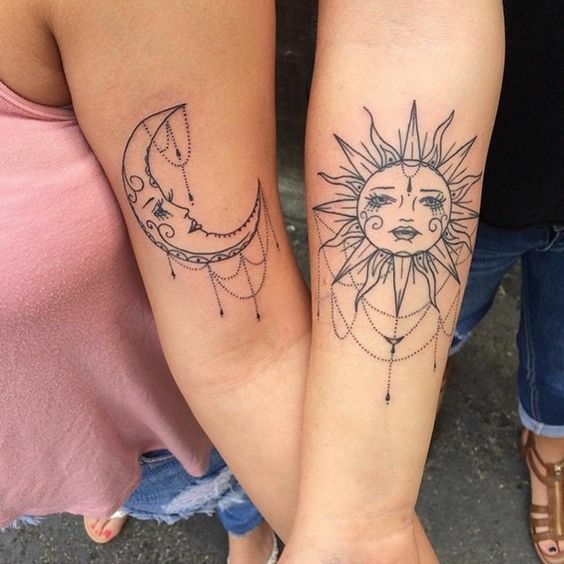 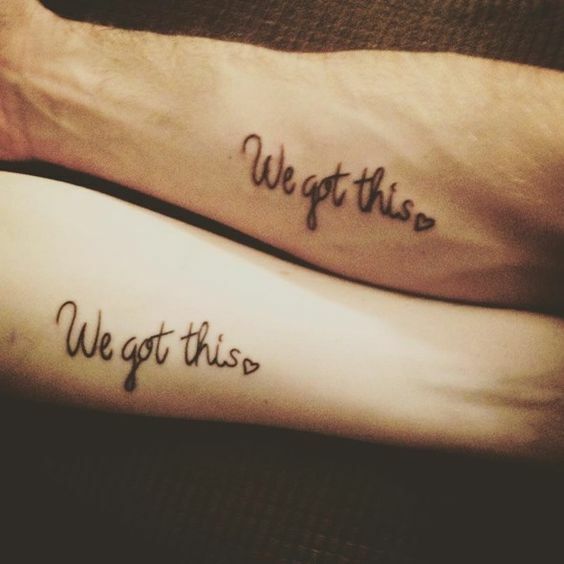 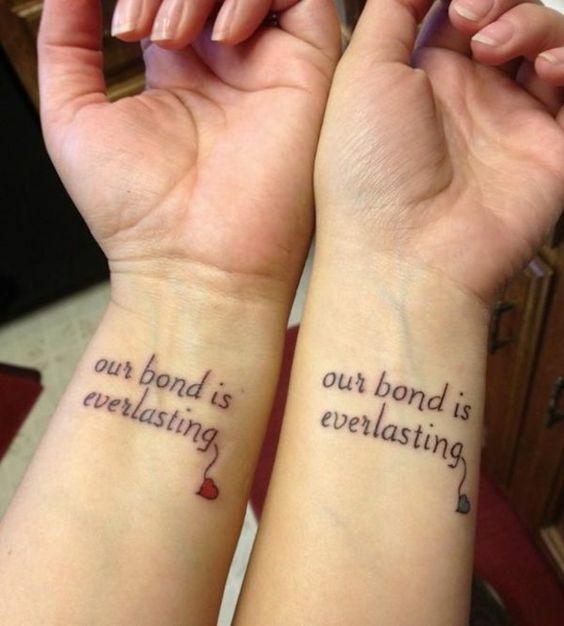 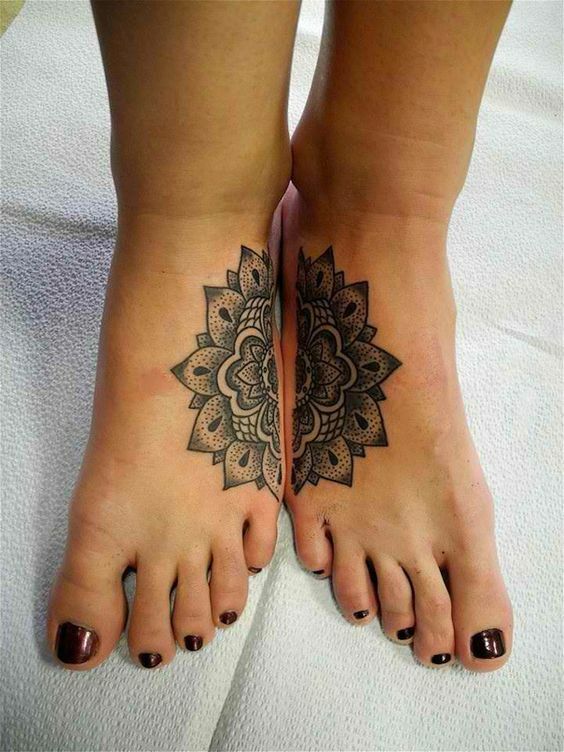 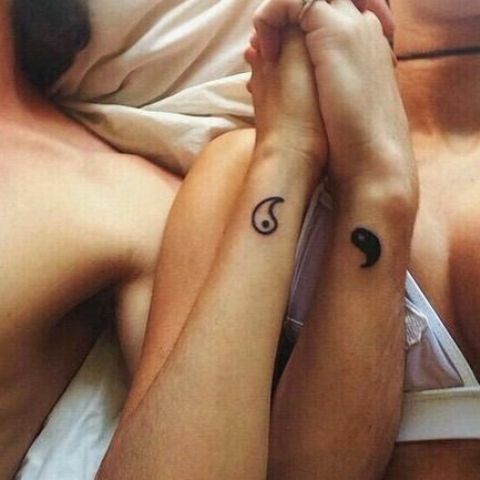 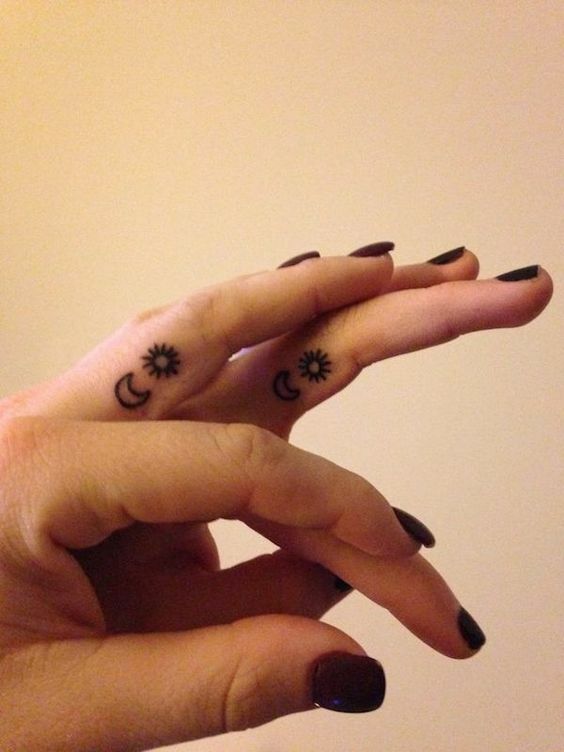 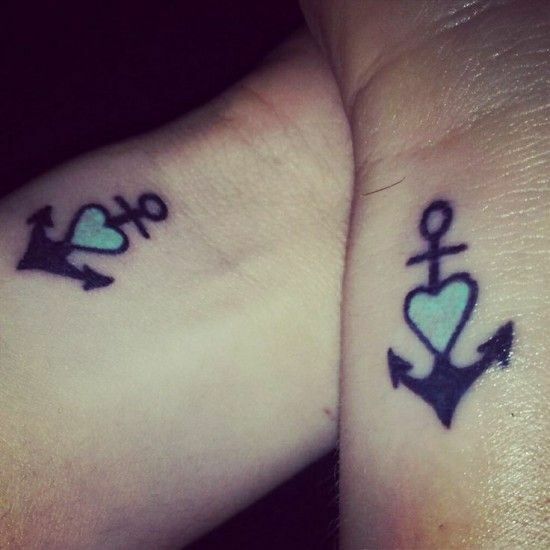 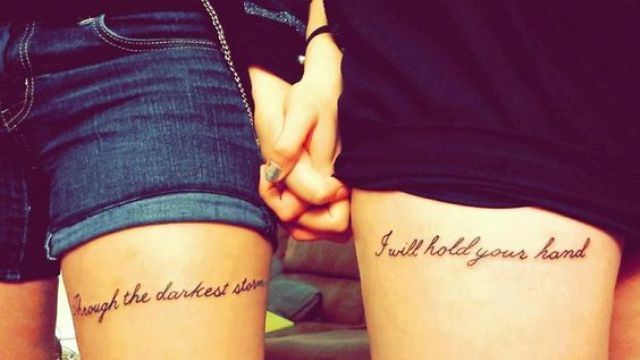 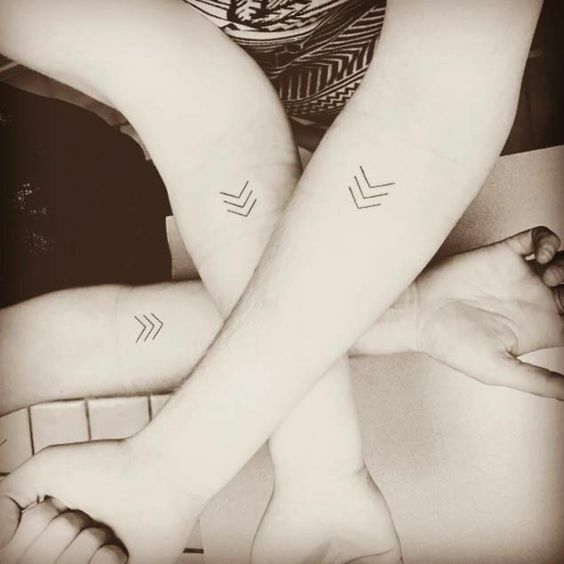 Arms and wrists are the most popular placements for bff tattoos because they can be easily seen and will remind you of your friend or friends. 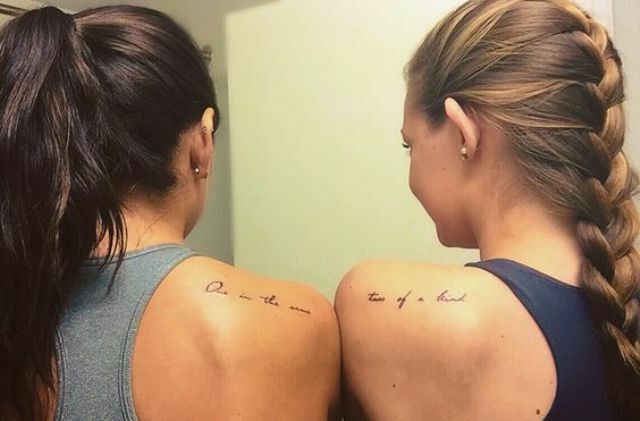 The choice is endless: meaningful phrases, your favorite images, monograms and so on. 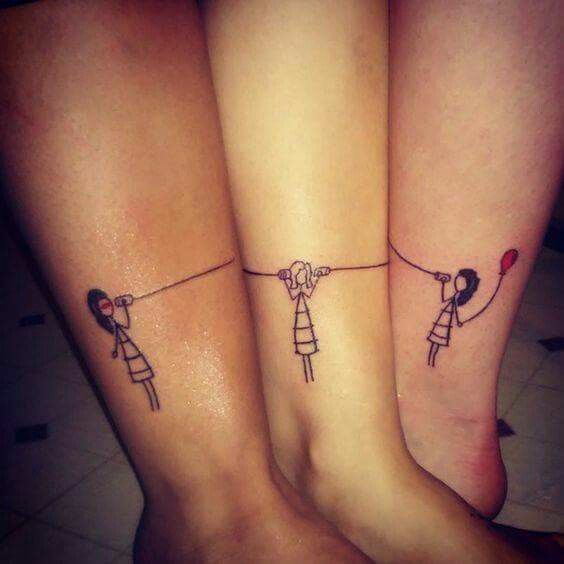 I especially love the idea of splitting the image into parts, so when you put your hands together, it’ll be whole. 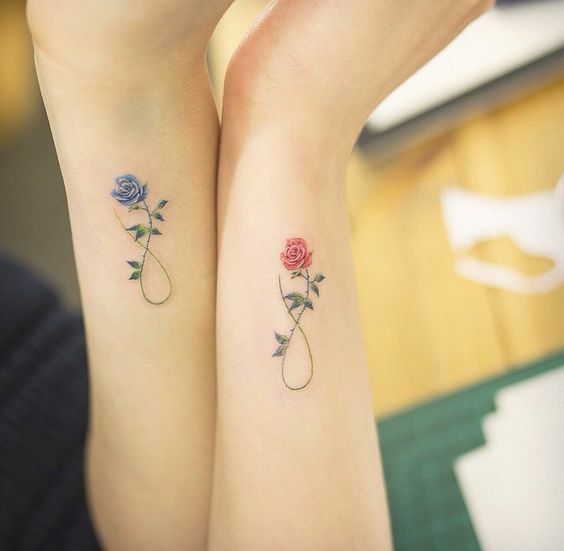 This is another good placement, here you won’t see the tattoo every time and can hide it from other people’s eyes. 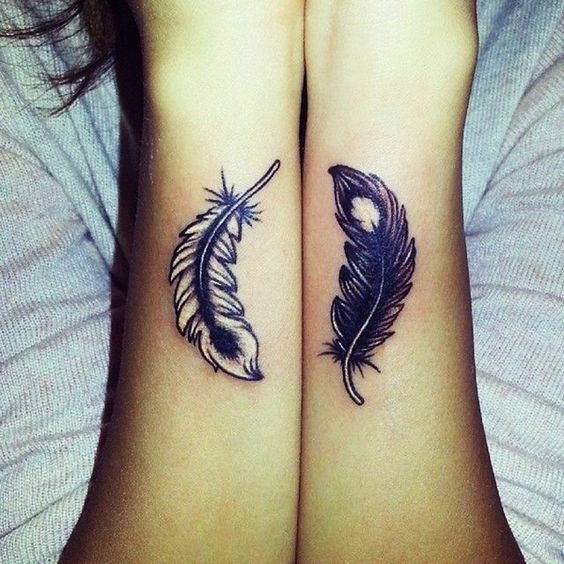 Again, the choice of ideas is endless: from anchors and feathers to phrases split in halves and given a half to each of you. 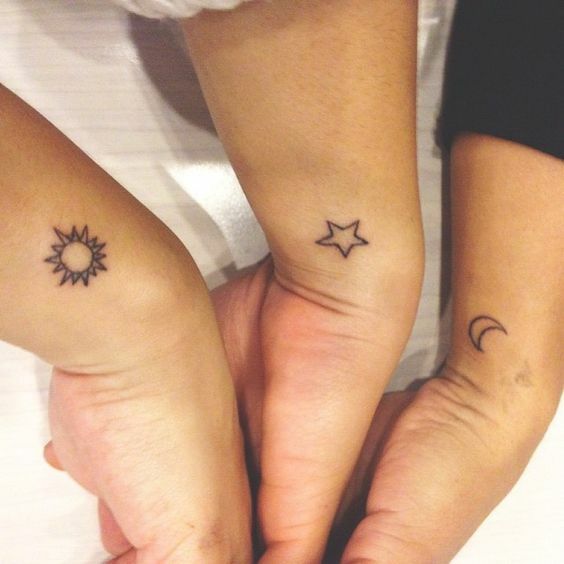 if you are more than two, you can make a moon, a star and a sun, or three triangles, one of which will be black meaning you. 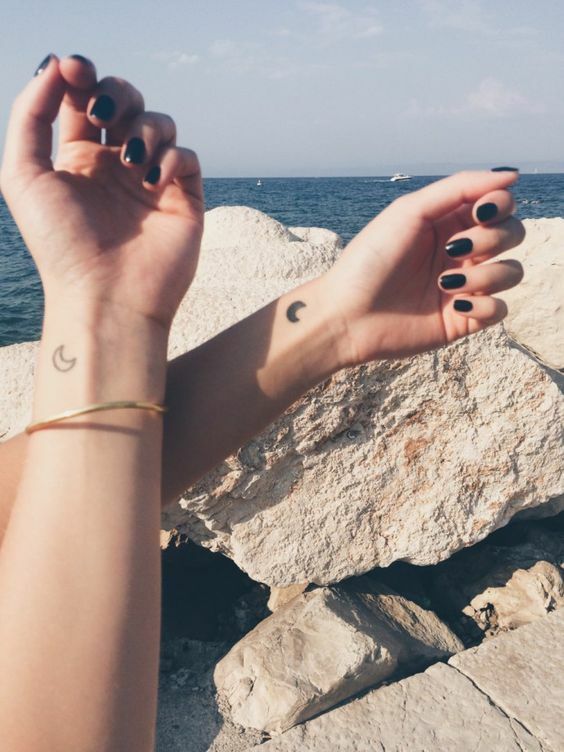 Place them anywhere you want! 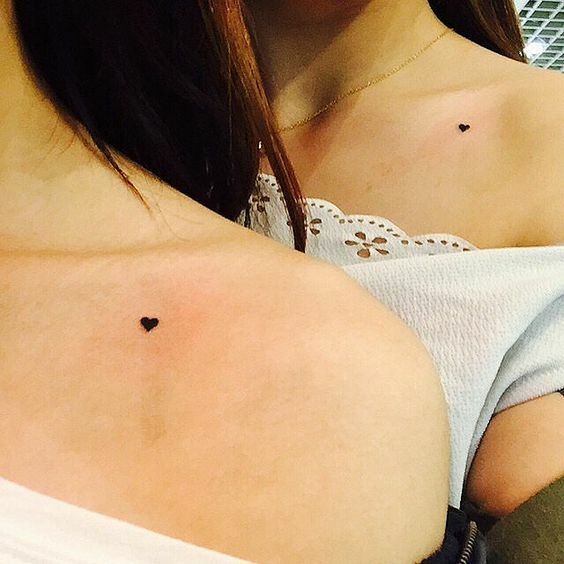 Collar bones, back, shoulders, breasts or any other part of your body will remind you of your friend or friends. 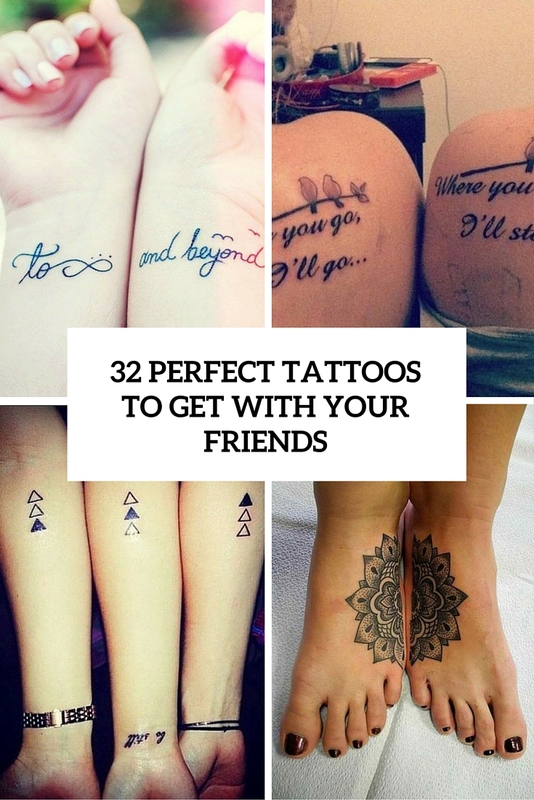 Choose an image or phrase that reflects you as friends and go ink it!